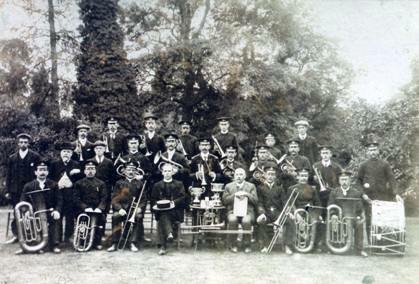 Above: Squire Hardwicke with Rev Arkell to his right c 1906. 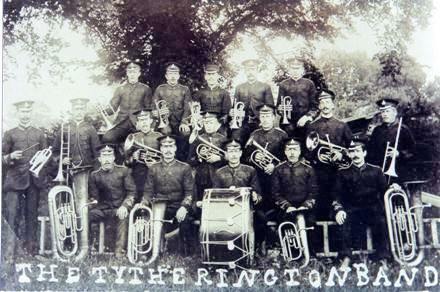 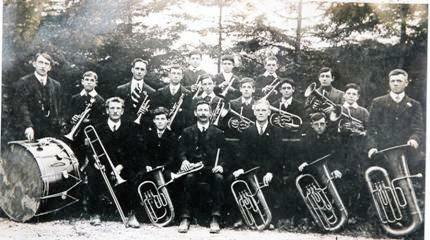 In the early part of the century, Tytherington had a brass band of which it could be truly proud. 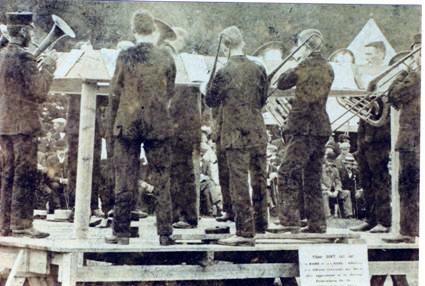 It won prizes in many competitions. 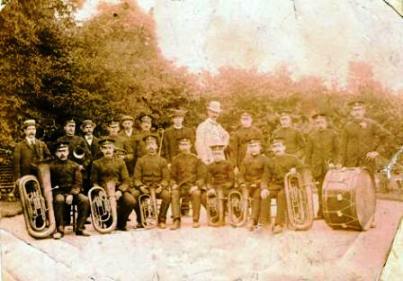 One photograph shows seventeen smartly uniformed men, heavily moustached, with comets, trombones, tubas and a bass drum; another has nineteen uniformed players but also eleven others, apprentices no doubt, including two very young boys wearing caps and Eton collars and holding comets, while the conductor was in a dark suit and top hat; a third photograph includes the Squire, grey suit, rakish grey bowler, posing, a head taller than the others, and next to him the parson in a black straw boater. 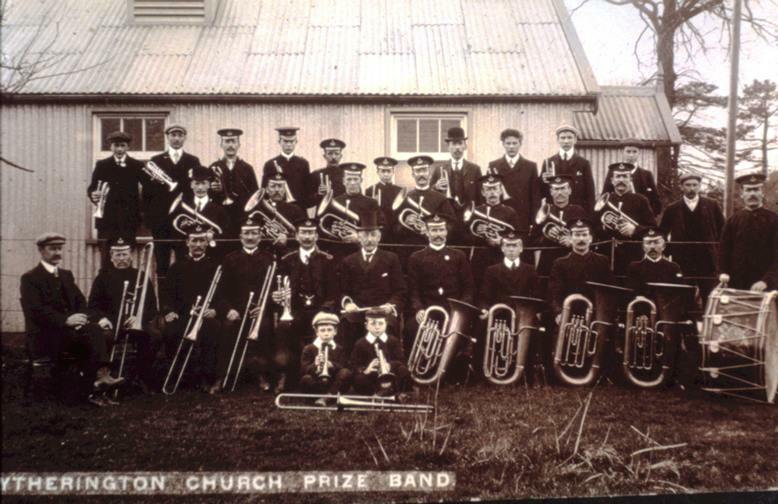 This was the era of the brass band, when the popular Tytherington Brass Band Contest took place annually in conjunction with the village or church fete. 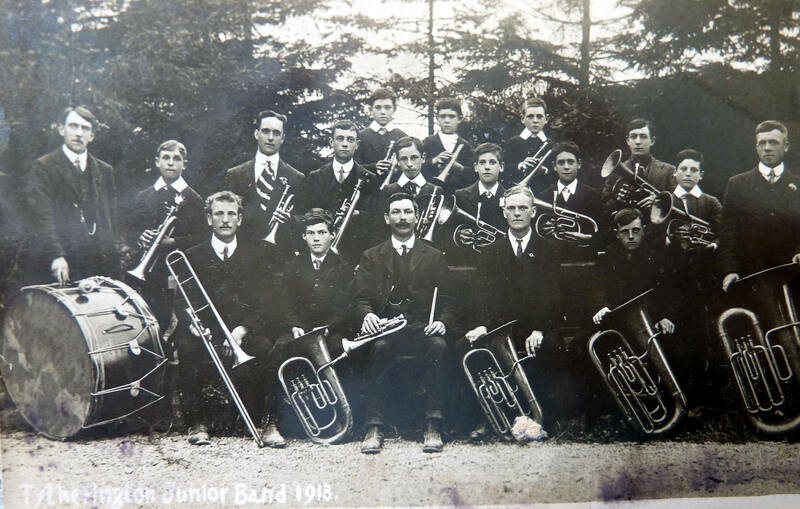 Tytherington Junior Band c 1913 Tytherington Band with Rev Arkell c 1906 Tytherington Band in action!